Siding is among the best investments you’ll ever make when it comes to home improvement. It’s a more permanent solution to exterior wall paint that lasts longer, doesn’t need reapplication and doubles as a secondary layer of defense against the weather. Regardless of how naturally sturdy your new siding is, it’s still vital that you secure your new hardware with a strong warranty to protect it against things that are out of your control. 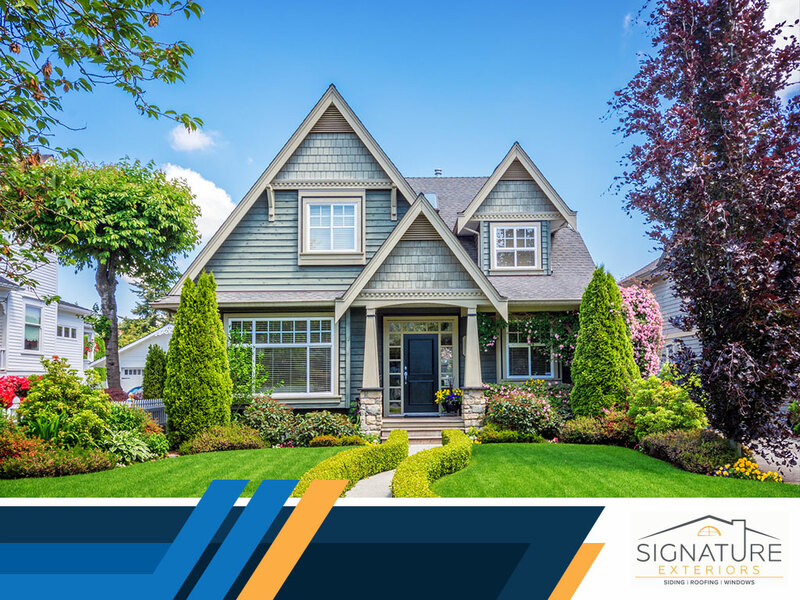 Our siding experts at Signature Exteriors explain more. The warranty that comes with the product has two types of coverage: workmanship and material. Workmanship warranty is for the installation of the product and will cover your new fiber cement or vinyl siding from damage or premature wear and tear as a result of faulty installation. Material coverage protects the material from manufacturer error, such as poor quality or damage during the actual manufacturing process. These two protect your new investment from things that are out of your and your installer’s control. Warranties essentially protect you from extra but completely avoidable costs. In the worst case scenario, such as if your recently installed siding has signs of manufacturer error, you’ll have to pay for the cost of replacing your brand new hardware. If you had secured your new siding with a warranty, however, you wouldn’t have to pay anything at all. Vinyl Siding Warranty: Whether it’s the regular or horizontal vinyl siding, your new hardware has a lifetime product warranty that protects it from everything – from manufacturer defect to poor installation. James Hardie® Siding Warranty: The fiber cement siding we install from James Hardie is backed with a 30-year limited lifetime warranty and 15-year color finish warranty. Our Own Warranties: On top of these robust warranties, we provide a 20-year installation warranty and three-year “homeowner mishap” warranty. Peace of mind is what you get when you have Signature Exteriors install your new siding. Call us today at (866) 244-8029 to learn more about our services. We are siding contractors serving homeowners throughout Connecticut.